WEBINAR SNAPSHOT: Learn how to determine the value of client assets when negotiating Tennessee divorces, and drive better client outcomes. Are you using the very latest techniques for assigning value to assets when negotiating a divorce in Tennessee? Are your clients achieving the best possible result at the end of the divorce process? Under Tennessee law, marital assets are subject to equitable property distribution. Dividing it is a challenging process, since there are many types of properties and property arrangements in marital relationships. Careful consideration must be given to complex types of property such as business assets, pension valuations, retirement plans, and more. Use this on-demand webinar when Joshua Hendrik from Kraft Analytics, LLC will explain the complex process of valuing and dividing financial assets in a divorce. How to Value and Divide Financial Assets in Tennessee Divorce: Retirement Accounts, Closely Held Companies, and More — is just $99. 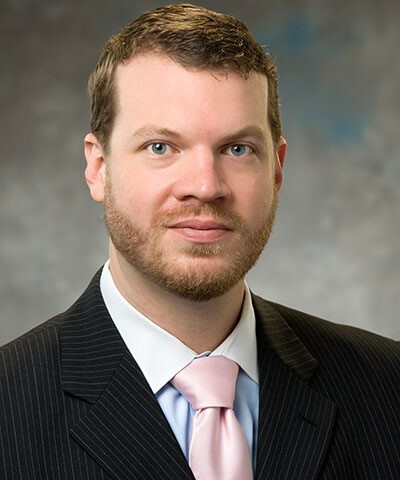 Joshua Hedrick is a senior manager with Kraft Analytics, LLC, an affiliate of KraftCPAs, that focuses on valuation, forensic and transaction advisory services. Mr. Hedrick’s valuation experience includes business valuations, equity interests, debt instruments, intellectual property and other intangible assets for investment, lending, managerial planning, compliance, accounting, tax, marital dissolution, restructuring and litigation purposes. His forensic experience includes working with attorneys related to valuation issues, transactional disputes, economic damages, intellectual property, corporate investigations, employee fraud and insurance coverage. Mr. Hedrick's transaction advisory experience includes valuations, fairness opinions, due diligence and transaction structuring support related to business sales, asset sales, M&A transactions, equity investments and lending transactions. His other consulting experience includes industry and competitive analysis, business strategy, compensation studies and the development of marketing materials related to financial instruments. Mr. Hedrick regularly presents to attorneys and executives on valuation topics.